Franck has extensive experience in protecting people and making a difference in their lives. He loves being active in the field as a fugitive recovery agent and leader of a warrant unit field ops team. Franck uses his expertise and everyday training of random, threatening situations out in the field, to pass along his knowledge to his clients; training them to be ready to defend themselves in the real world. He takes great pride in making all of his clients feel safe and secure and is grateful to be of service to others. 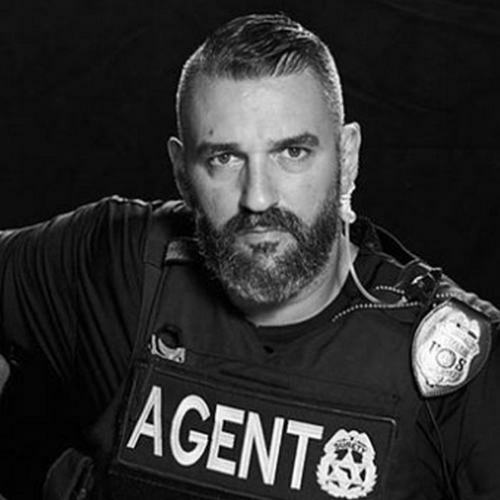 Franck is a Field Agent and a Contractor who trains the French Special Forces, a former pro-boxer, has over 25 years of martial arts training and has been in the protection business for over 15 years. Franck Pala has been the leader in combat training, self defense, close quarter combat, surrounding awareness, hand to hand deadly strategies, and shooting scenarios. Franck provides a variety of professional services including executive protection, asset protection, and security investigations. He loves being active in the field as a fugitive recovery agent. Franck is an expert in this field.